When configuring a metal circle you only need one measurement to define a circle. The only measurement you need is the RADIUS. Based on the radius of a circle our metal configurator is able to calculate what we need to calculate a price for your individual metal circle and or metal ring. 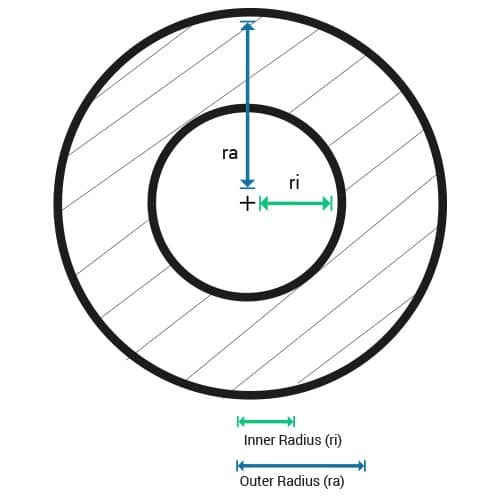 For a ring you will need the radius of the inner and the outer circle but always only the radius. A circle is a 2 dimensional shape where the rim / border is always the same distance from the center. 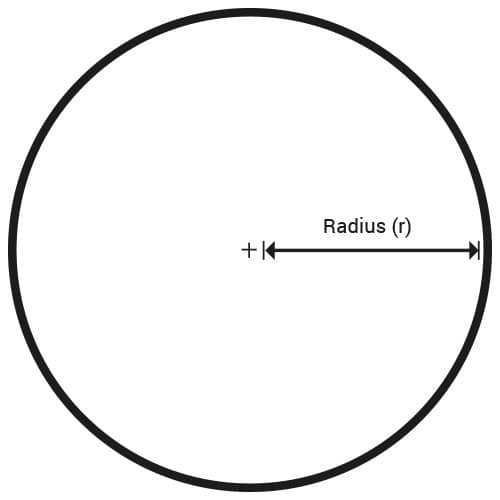 The distance between the center and the circumference is called radius. The diameter is defined as 2 times the radius. Based on this radius we can calculate the area and the range a circle has and can quote you a price of your custom cut metal circle. Here is how you can order your individual circle or ring. You can even order a divided circle. Try it - it is easy!